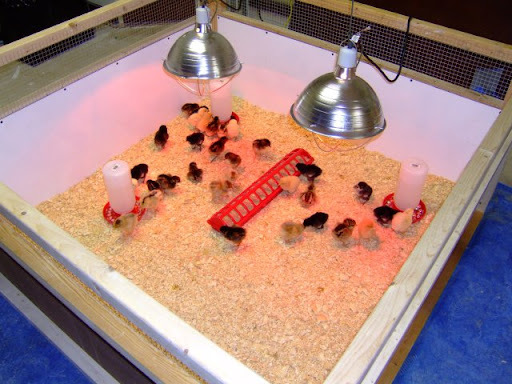 The day-old chicks have arrived, and they are keeping warm in the new brooder. In a few weeks, they'll have their feathers and can start to forage in the pasture. These little chicks will grow fast! In as little as five months, they'll start to lay eggs in brown and blue and green. It's great to have a chance to keep some heritage breeds in a small mixed flock, and produce eggs locally with happy, healthy, free-ranging hens.